(TB2QA1G) Look Twice Geocoin - Todie's Wild Ride: Look, Then Look Again! Todie's Wild Ride: Look, Then Look Again! Use TB2QA1G to reference this item. My mission is to have my picture taken at castles. New or old, I like them all! Please keep me moving, I have an important message to share! Be aware of bikes around you, the person on that bike is someone's husband, father, son, brother, sister, mother, daughter, wife, LOVED ONE! Help them stay safe so they can spend tonight with their family. This coin is starting in Holland as part of the Todie's Wild Ride race to help promote motorcycle safety. Please discover or move it but please don't keep it! In memory of Tod, one third of Team Rod & Tod w/Kaboom. Tod was tragically killed when a vehicle turned in front of his motorcycle. He was not wearing a DOT approved helmet. Helmets save lives! Gallery Images related to Todie's Wild Ride: Look, Then Look Again! Hier ist er leider nicht mehr. I ride on bicycle every weekend.I think its a brilliant mission for a coin. Let's see if we take it to a castle. Bei ullina zu Hause bewundert. 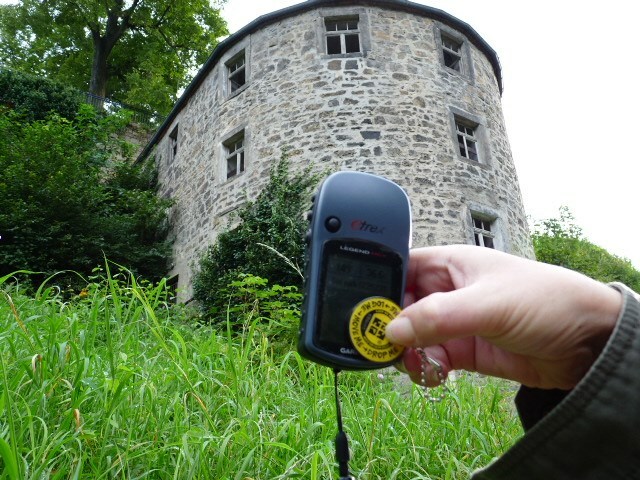 Let´s go to another Cache.